over new lawsAll members of Parliament should adequately debate the draft Constitution Amendment Bill which has reached committee stage, Heritage Party president Brigadier General Godfrey Miyanda has advised. General Miyanda has called on all the MPs in the House to adequately debate the constitution bill instead of merely passing the law. 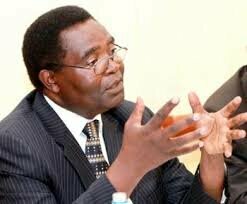 In a statement to the Daily nation, General Miyanda has insisted that all law makers must take a stance in leading debate on the Constitution Bill in order to fulfill their presence in Parliament, instead of merely date stamping a bill without changing anything. He said there were a lot of inconsistencies with the proposed bill such as the 50 per cent plus one majoritarian clause which required much attention from the legislators than its current form. “I would be interested to hear a debate for and against the “popular” majoritarian “50 per cent plus one”. The way it is couched in the Draft constitution does not convince me that it will achieve the majoritarian president which many are alleging it will produce. “Clause 47 (1) provides that “Elections to the office of President shall be conducted directly, under a majoritarian electoral system, where the winning candidate must receive more than 50 per cent OF THE VALID VOTES CAST…. This means that the 50 percent plus one vote is NOT of eligible voters but merely of those who have voted,” he said. He said the making and writing of a constitution had so many implications on the lives of citizens, and so all should ensure that what becomes law is what was intended. But YALI president Andrew Ntewewe has said the proposed running mate close should remain as it was in the Draft Constitution without any amendments to the term of office or its automatic protection from premature dismissal by the incumbent head of state. “Government must not proceed to introduce the clause that will enable the President to fire the elected Vice President based on the reasons given. “YALI has continued on the path of its engagement with Government leaders at various levels of decision-making to ensure that Members of Parliament respect the wishes of the Zambian people as contained in the Constitution Bill which was tabled by Government,” he said.